BeerSAVER FOB eliminates foam after a keg changeover. Having air enter the beer line after a keg empties can waste a pitcher or more of beer after each keg change. This can cost bar operators hundreds of dollars each month. Scheduled line cleaning cleans the FOB at the same time. The foam on beer (FOB) detector immediately shuts off the beer flow when a keg blows. This eliminates air and foam by keeping the beer line filled with beer at all times. When a new keg is tapped the air is released by the FOB’s vent to ensure you get a full stream of beer every time without having to refill the beer line. 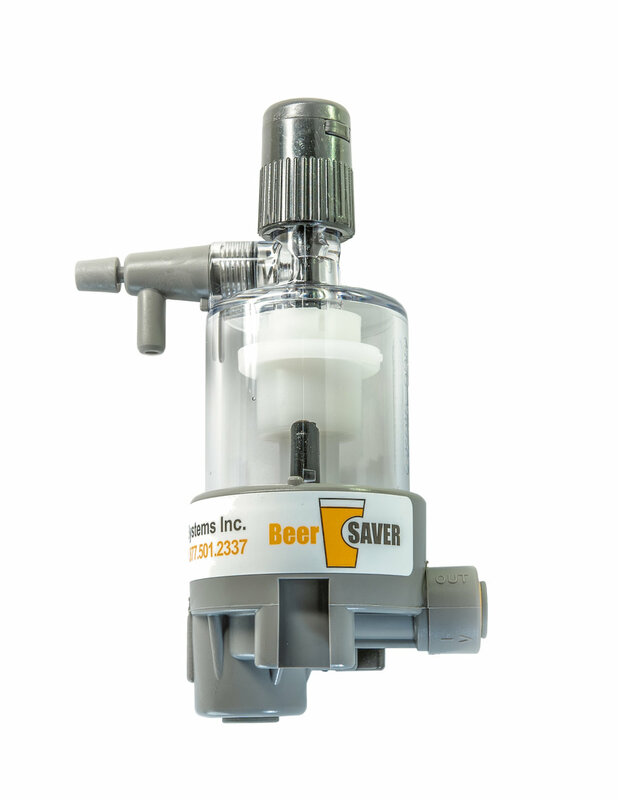 The BeerSAVER Kegswitcher is an automatic multi-keg solution for high volume beer lines. When the primary keg empties it will automatically switch to the backup keg for a single line. When the KegSWITCHER detects an empty keg, it will automatically tap into the backup keg. To place an order for FOBs, please contact us via email or call us at 1.877.501.2337. Let us help you reduce slippage and increase your profit today. Thank you for writing to BeerSAVER!